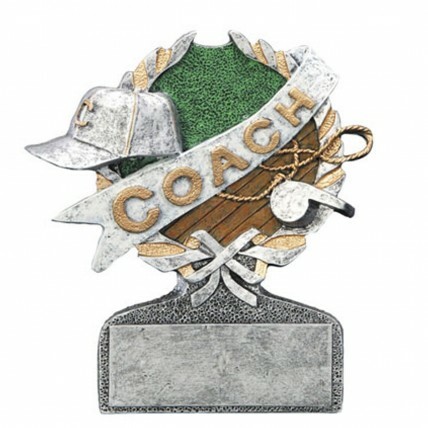 The Coach Banner Resin Trophy makes the perfect coach's award! Antique silver in color with gold highlights, this elegant award features a hat, whistle, and coach banner surrounded by a classic victory wreath. Includes a black brass plate with 3 lines of engraving.